A national survey led by the Canadian Food Inspection Agency (CFIA) has foundÂ Verticillium longisporumÂ in six provinces: British Columbia, Alberta, Saskatchewan, Manitoba, Ontario, and Quebec. V.Â longisporumÂ is a plant disease that impacts a range of crops, including canola. It was first detected in Canada in 2014. 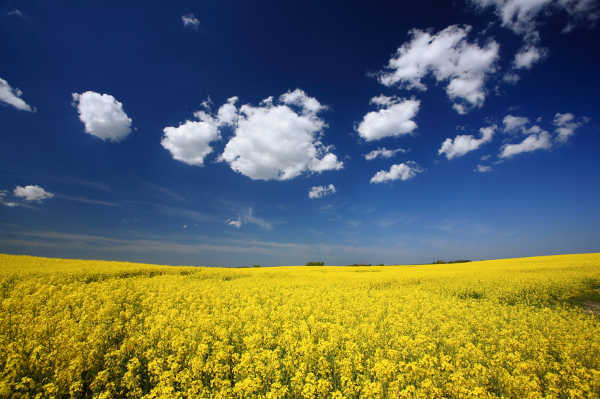 Since then, theÂ CFIA, in partnership with industry and provincial partners, has conducted random surveys to determine its general distribution in canola-growing regions of Canada. VerticilliumÂ is not a reportable plant disease in Canada and is not known to be regulated in other countries where it is found around the world. 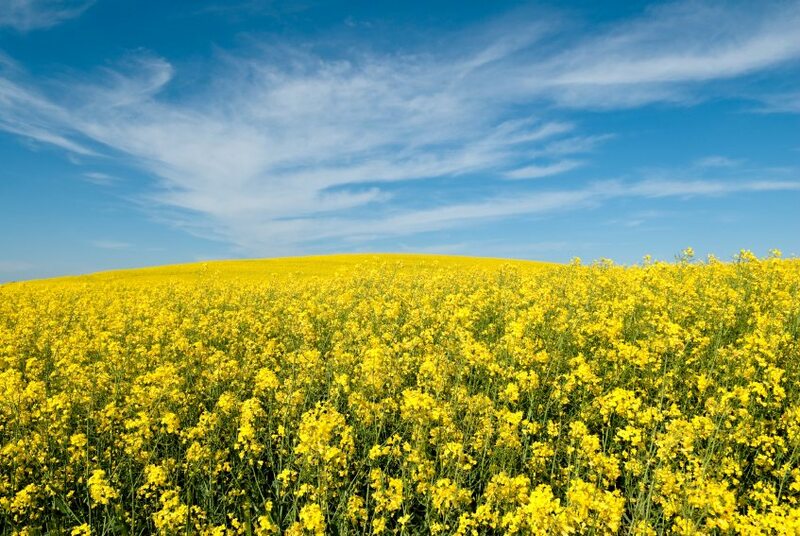 As the planting season approaches, grains and oilseeds producers are encouraged to develop and implement a biosecurity management plan to prevent plant pests from being introduced or spread on their lands. 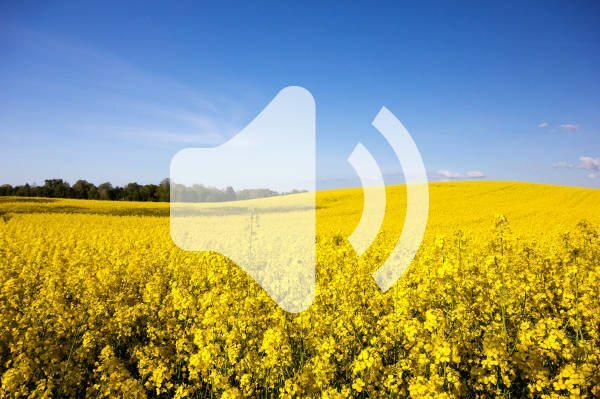 Learn more aboutÂ Verticillium longisporumÂ andÂ crop biosecurity. Stripe rust has been developing earlier than ever before on winter wheat in central Alberta â€” which may mean it is overwintering in the region. Early in the 2014 crop season, two Alberta Agriculture and Rural Development (AARD) pathologists, Krishan Kumar and Kequan Xi, observed heavy infections of stripe rust on winter wheat in the Olds, Alta. cereal breeding nursery. Samples of stripe rust-infected winter wheat were also observed in breeding plots and commercial fields near Lacombe and Bentley. 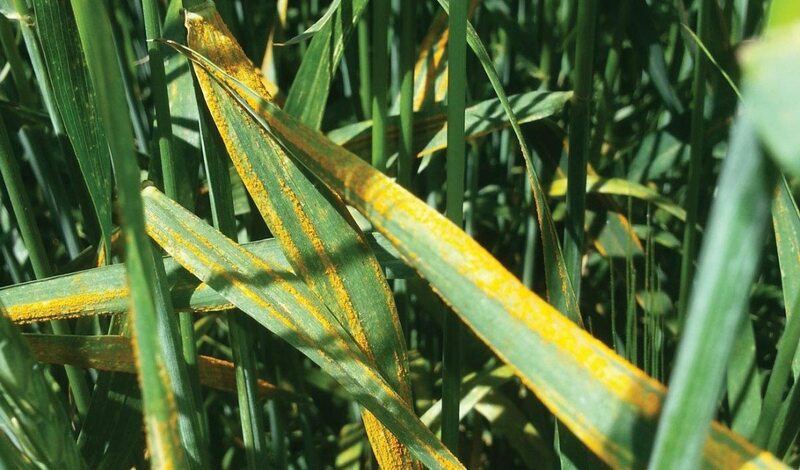 Kumar and Xi suggested that as theyâ€™d never before observed such severe early infection, the stripe rust pathogen might have overwintered in central Alberta. According to Michael Harding, a research scientist with AARD, it is unusual for the stripe rust pathogen (Puccinia striiformis) to overwinter in Alberta. 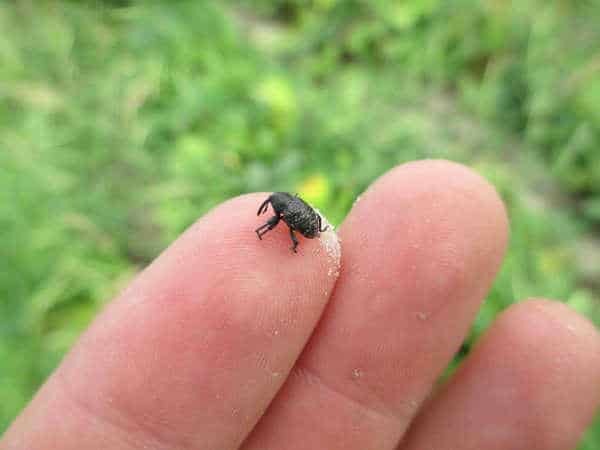 Most years, he says, it enters the province from a westerly direction â€” the Pacific Northwest states, where it normally overwinters. Harding believes there are several convincing observations that back the suggestion that stripe rust overwintered in central Alberta. 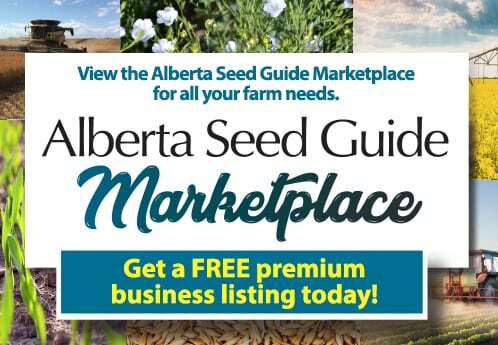 The first is its early appearance in central Alberta without concurrent infection found in southern Alberta, where stripe rust spores would normally have entered the province. â€œThe arrival of stripe rust first in central Alberta, and so early in the growing season, is unusual and very suggestive of an overwintering event there,â€ Harding says. Xi and Kumar confirmed the overwintering potential, Harding explains, by collecting leaf samples from beneath snow drifts and bringing them indoors for testing. Their findings were illuminative: they discovered that viable stripe rust infections were surviving through the winter under the insulated snow cover. Secondly, Gaudet says, the region frequently has an uninterrupted snow cover during the winter that helps protect the fungus and plant tissues from cold injury and death, which can lead to widespread survival of stripe rust from a fall infection throughout the winter. 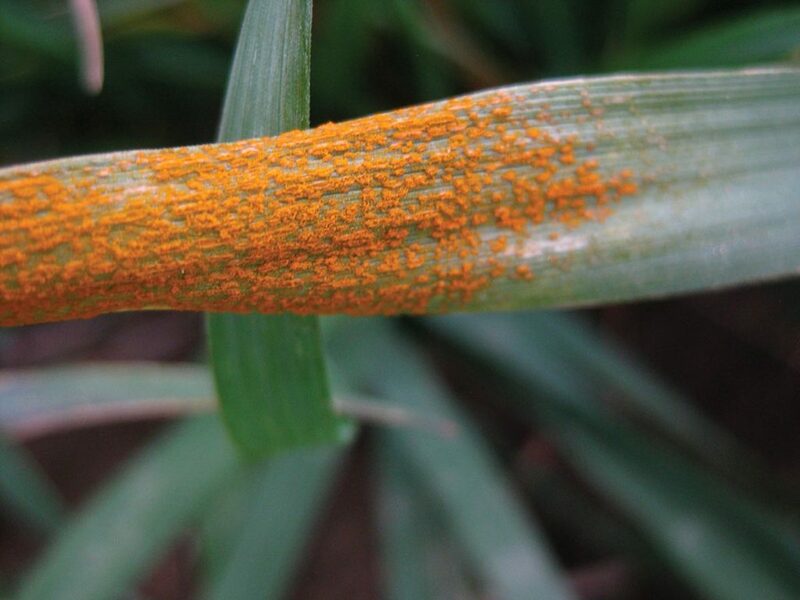 Regardless of the causes for the early development of stripe rust in central Alberta, seed growers and farmers should be on high alert early in 2015 and use proactive management techniques to ensure minimal damage in winter wheat. Harding says the use of cereal cultivars with resistance to stripe rust is the most important strategy seed growers and farmers can employ to combat the disease. He says fungicides may be applied preventatively â€” in other words, for susceptible varieties, fungicides should either be applied in advance or as soon as stripes appear if stripe rust has been reported in the region. Applying upper canopy leaves with fungicide (flag leaves and penultimate leaves) will help avoid yield loss, because these two leaves are the greatest contributors to yield in cereals. If the disease is not present on the upper leaves, or comes in late in the season when grain fill will no longer be affected, the use of fungicides is not cost-effective. Gaudetâ€™s team at the Lethbridge Research Centre performs weekly stripe rust surveillance in southern Alberta during the summer months and offers fungicide recommendations â€” a service that should continue into 2015. Harding and Gaudet both caution that issues with stripe rust infecting and overwintering in the fall-sown winter wheat can also be avoided if growers resist seeding winter wheat too early â€” in August or early September â€” because this can create a â€œgreen bridgeâ€ between the spring wheat crop and the winter wheat crop. Robert Graf, a research scientist in winter wheat breeding with Agriculture and Agri-Food Canada, says that the variety Radiant, which carries Yr10, was effective in resisting stripe rust until a few years ago, when new strains of stripe rust began to overcome its resistance. â€œThe good news is that there are some new winter wheat varieties that have effective resistance,â€ he says. Stripe rust can only survive on a living host, but it can move into a fall-seeded crop from a spring-seeded crop if the former is planted too early, or if volunteer cereals are growing nearby. â€œIn rare instances where stripe rust overwinters on a winter wheat crop, or on grassy or cereal volunteers, there a bridge from one green crop to another, and from one season to the next,â€ Harding says.